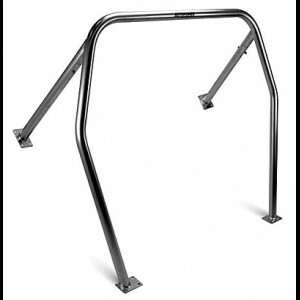 This Autopower street roll bar gives your car a performance look with style. The design allows rear seats (where applicable) and interior trim to remain in place. This is not a "style bar"! A two-step high gloss black paint finish is applied to each roll bar. Production time is 3-4 weeks (plus shipping). If you are in a hurry, Autopower will make your bar within 2 weeks and then send it to you unpainted for an extra charge ($105.00).